Royal Caribbean has added even more Vision of the Seas sailings from Galveston, Texas, with guests now able to book sailings through April 2018. Royal Caribbean announced initial Vision of the Seas sailings for November and December 2017, but has now expanded those offerings to extend through April 2018. Vision of the Seas will offer 4- and 5-night itineraries to destinations in the Western Caribbean, such as Costa Maya and Cozumel. Vision of the Seas is the second Royal Caribbean ship offering cruises from Galveston, joining Liberty of the Seas. Royal Caribbean added some new Vision of the Seas sailings in 2017, from Galveston, Texas. The new sailings are available for booking now, and include 4- and 5-night cruises to destinations in Mexico. Sailing dates begin on November 6, 2017 and extend through the end of December. Royal Caribbean will be adding its high-speed internet service to Navigator of the Seas and Vision of the Seas at some time in May 2016. Royal Caribbean UK confirmed via Twitter that the service, known as Voom, will be coming to both ships at sometime in May 2016. 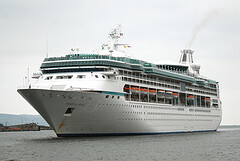 @ZacharyCocker @RoyalCaribbean Hi Zachary, VOOM is available to Navigator in May. @Mistyrobert Hi Robert, Vision will have VOOM from May onwards. 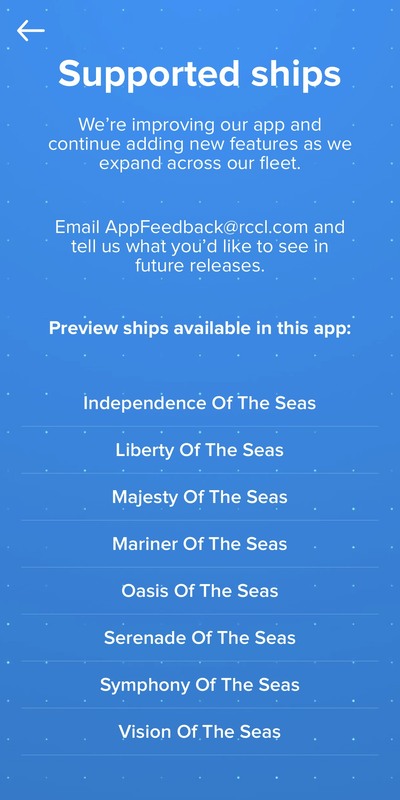 No word on which sailings will be the first for either ship that it will have Voom, but there is now confirmation these two ships are getting it. 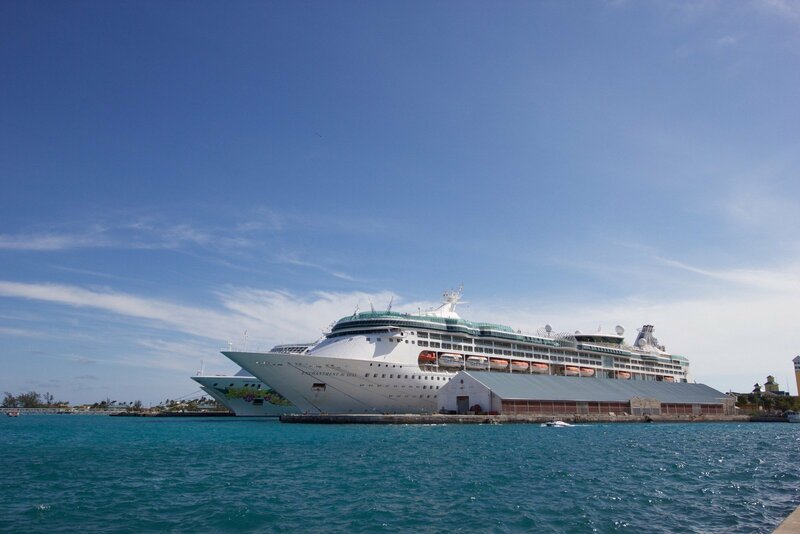 Royal Caribbean rolled out new tiered internet plans last week for its Voom service and with that change, more Royal Caribbean ships are now offering the Voom service than were previously offered. Voom has been spotted for sale on other Royal Caribbean ships that did not previously offer Voom, including Liberty of the Seas and Radiance of the Seas. Royal Caribbean's Vision of the Seas skipped her scheduled stop at Labadee today because of concerns related to protests by locals in the area. Royal Caribbean confirmed that Vision of the Seas did not call on Labadee today. Guests onboard Vision of the Seas have indicated the ship will head to San Juan earlier than expected. For guests wondering what the future holds for upcoming scheduled stops in Labadee, Royal Caribbean is still planning on taking the situation in Labadee on a day by day basis. Vision of the Seas marks the third time a Royal Caribbean ship has skipped a stop at Royal Caribbean's private destination since the protests began last week. In a statement, Royal Caribbean commented further on the situation, "Royal Caribbean has not received any guarantees or assurances that there will not be any protests in the future. If a protest takes place while a ship is port, there would be a significant impact on our guests’ ability to enjoy Labadee, or we may have to cancel the visit completely." In a blog post by Royal Caribbean CEO Adam Goldstein, two announcements were made that were direct results of passenger feedback. First up was the request by Royal Caribbean fans for more Panama Canal cruises. 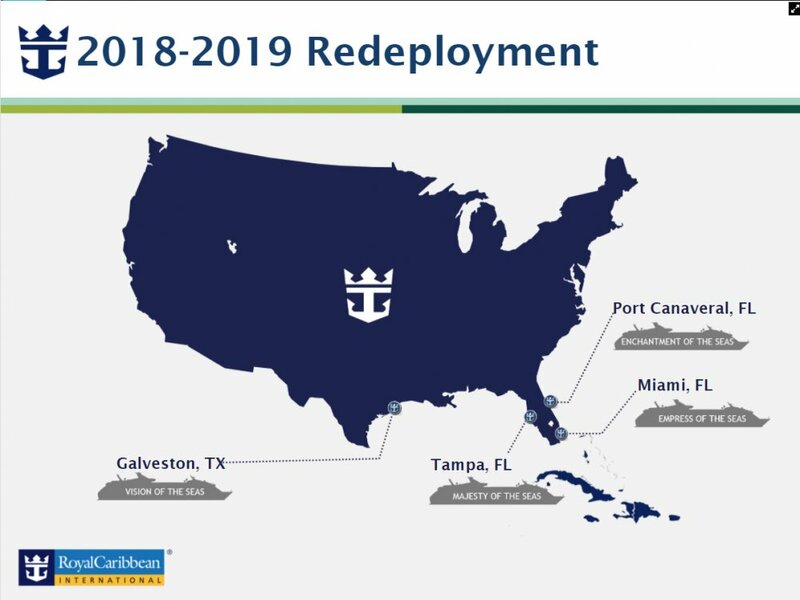 Goldstein announced that Vision of the Seas was slated to originally offer Caribbean cruises will instead sail a set of Panama Canal cruises in the fall and spring. The new Panama canal cruises will augment the other long Caribbean sailings already on the books. In addition, Goldstein announced that Royal Caribbean will offer gluten-free beer by the end of the year in all of its Irish pubs across the fleet.